I’ve known Jason SurfrApp since he was wearing t-shirts professionally through IWearYourShirt. He was the person who inspired me to create Sponsor A Law Kid to offset the cost of law school. He has since gone on to auction off his last name (twice) and become a maven in the marketing world who seems to be able to get sponsorship for everything. 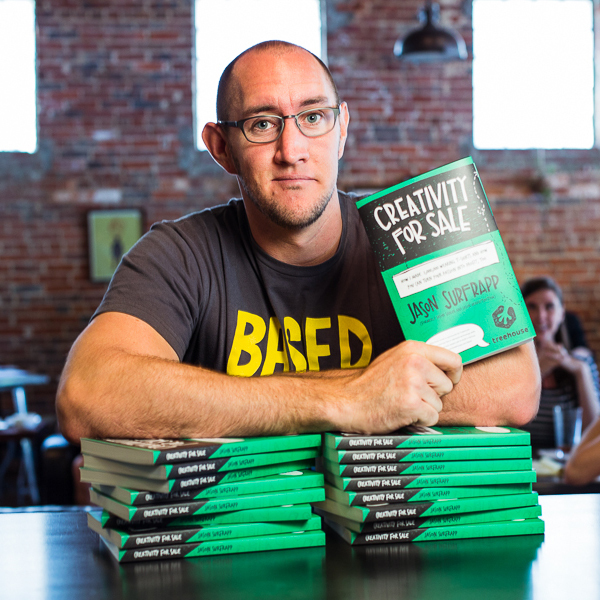 This week, Jason published his first book, Creativity For Sale, where he shares his story and how to turn your passion into profit. He was kind enough to field some questions from me. Why Did You Write This Book – Besides To Make Money? During the first few months of 2013 I was feeling pretty down. The business I had built and killed myself to make successful since 2009 (IWearYourShirt) wasn’t doing as well anymore and I was starting to get burnt out. I attended a life-changing conference – and I never say stuff like that- in Fargo, ND in May 2013. At that event I listened to some amazing speakers and I was also a speaker. Instead of my normal “success” talk about IWearYourShirt, I opened up and shared that things weren’t going well. That was the first time I was ever publicly vulnerable, and while it was incredibly uncomfortable and difficult it felt like I had lifted a 600-pound gorilla off my back. When I returned home from the event I had lunch with a friend. 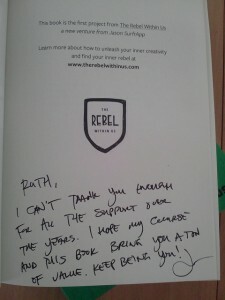 While shoving a burrito in my face my friend convinced me that I should write a book about my entrepreneurial journey. What’s The One Lesson You Want Readers To Take From Your Book? I want people to give themselves permission to follow their passions and try to make money doing what they love. It won’t be easy, but the best things in life are earned. 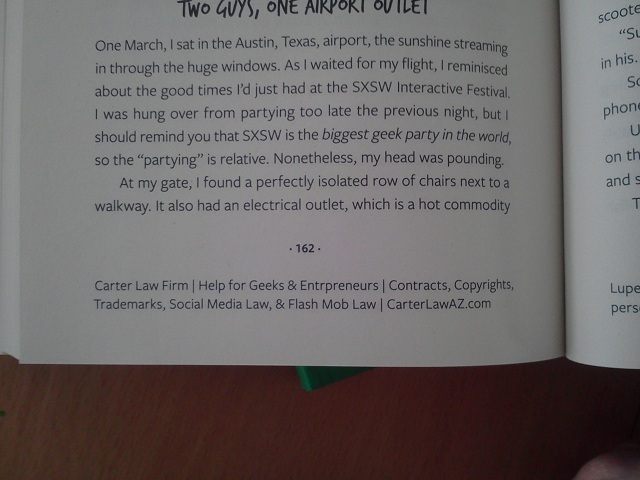 It Took A Lot Of Guts To Start A Business, Auction Off Your Last Name, And To Write This Book. How Do You Combat Fear When It Creeps Into Your Professional Life? 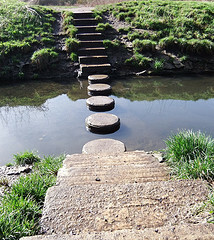 What Words Of Wisdom Do You Have For Anyone Who Wants To Do A Sponsored Event (Or Life)? #1 You don’t get what you don’t ask for. #2 You will hear “No’s” and that’s perfectly okay. Remember that people aren’t saying “No” because of you, they’re saying “No” because the project doesn’t align with their goals, they don’t have the budget, it’s bad timing, etc. Success used to look like $1,000,000 in the bank, driving a Ferrari, and retiring by age 35. I realized that I don’t need $1M in the bank to be happy and live a fulfilled life. I took time last year to look at the things that really mattered to me and in doing so realized that I didn’t need anywhere near $1M in the bank to meet those needs. My previous measures of success were completely driven by societal pressures and I’m ignoring those now. Instead, I’m focusing on having financial freedom (no debt and enough money to not have to worry about making my mortgage each month), having the ability to work from anywhere in the world, and being able to work on whatever projects I want. The definition of “success” will evolve continuously for me and I’m cool with that. Doing what you love and living a life of intention. Don’t let the fears of other people get in the way of your dreams. I’m super excited for creative professionals, entrepreneurs, business owners, etc., to grab a copy of my new book Creativity For Sale. I’ll be on the road quite a bit for the rest of this year promoting the book through public speaking. 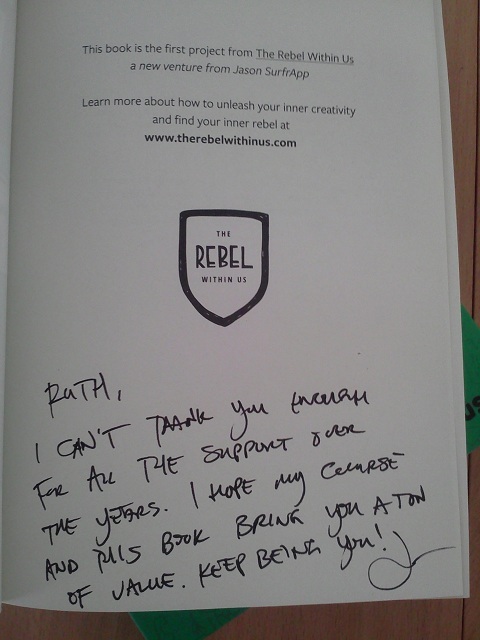 I’m also launching a new project with the book called The Rebel Within Us where I’ll be helping people unleash their inner rebel and learn how to make money doing what they love through various paid products and resources. I’m really excited to read Jason’s book and hopefully his speaking tour will bring him through Phoenix. He’s a fun guy. You should meet him in person if you have the chance. And check out his book – my law firm sponsored page 162! When I started law school, the career services office often spoke about the value of networking, but no one really went into the nuts and bolts of how to do it. Many of my peers had little or no professional experience, so they tried to network as best they could but often made blunders, like showing up at networking events with resumes in hand expecting to get a job interview or a job offer. They weren’t taught that networking is about creating and maintaining a professional network. It’s a continuous process, not an event. I want to share a recent experience that shows how networking works for me. During the spring semester of my 1L at Arizona State University, the school invited author Ari Kaplan to speak at the school about how to create professional opportunities for yourself. I appreciated the fact that he encouraged people to be interesting and to stand out from the crowd. While he was still talking, I found him on LinkedIn and sent him a request to connect. I stayed in contact with Ari. He was the person I called when I had a professional development question that I didn’t feel comfortable asking anyone at my law school because I was afraid it would hurt my reputation. Yes, despite being daring and outspoken, I’m very thoughtful about my actions. I spent my 1L summer with the U.S. Army JAG and I got to sit in on some of the training classes for military police officers. I learned a lot about crimes that they didn’t cover during law school, like solicitation and conspiracy. As a co-founder of Improv AZ, it made me think about the ways we could get arrested just for planning a prank or flash mob. Ari often speaks about the benefit of creating a professional niche. I sent him an email asking if he thought flash mob law was viable niche for me. He wrote me back that night. He was working on an article on creating a targeted niche for the ABA’s Law Practice Magazine. He said his article as written was dry and he asked if he could use me as an example of someone who is using his suggestions. I was ecstatic. Mark Feldman at Law Practice Magazine loved Ari’s article so much he contacted me to get pictures from Improv AZ’s flash mobs to go with it. Ari and I regularly keep in touch, and I continue to explore my niche by writing about the legal side of various pranks and flash mobs. Having a blog, especially one with a candid approach made me stand out from my peers and opened the door to many opportunities to be a guest blogger. Recently, I received an unexpected email from Mark Feldman. He started new venture, Attorney at Work, with his wife Joan Feldman and Merrilyn Astin Tarlton. This site provides practical information and advice on creating a law practice. They thought my writing was “wonderful,” and they invited me to bring my “undeniable Ruth voice” to their site as a monthly writer. I’m excited to announce that starting this month, I am a contributing writer for Attorney at Work. My monthly posts will focus on the real-world technical side of lawyering. I never expected an opportunity like this to fall into my lap, and it didn’t happen overnight. This was two years in the making through maintaining relationships, having a regular public presence, and doing consistent good work. That’s networking. My friend, Kade Dworkin, started a new podcast this month called Meet My Followers. Each show is a 20-minute interview with one of his followers from Twitter. I was impressed when I saw that he’s challenging himself to release a new show every weekday morning. So far he’s had some awesome and interesting guests – including me. I met Kade in November 2009 when we were both presenters at Ignite Phoenix #5. He spoke about “The Art of Misusing Stuff,” and my presentation was “Frosting the Law.” Since then I’ve stayed connected to him and his adventures on Twitter and Facebook. When he announced that he was starting this podcast and was soliciting guests for it, I immediately said I was in. Eric Mayer: @ericlmayer, one of the best attorneys and courtroom advocates I’ve ever seen. He’s new to Twitter, and his blogs are very thought-provoking. Evo Terra: @evo_terra, my friend that I love for his intelligence, humor, and the fact that he just tells it like it is. I’m also a fan of the occasional guest tweet from @jmoriarty. Evo’s podcast is one of the highlights of my week. We also talked about why I decided to go to law school and my aspiration to practice intellectual property and internet law, and to keep the crew at Improv AZ out of jail. I’m glad that there are people like Kade who work in this area who remind me that there will be plenty of work for a neophyte lawyer in this area after I graduate. You can listen to my episode of Meet My Followers on iTunes or on the show’s website. Thank you, Kade for having me on your show. I had a lot of fun and I look forward to hearing who is going to be on your show next.